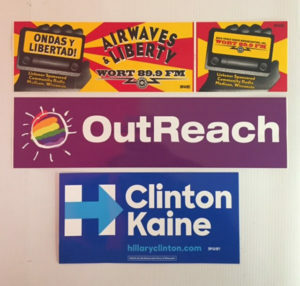 We are your source for custom imprinted bumper stickers and decals. From a few to a hundred thousand, we can make long lasting stickers for your project. And, a union label is available on all our projects. One color to four color process, we can print your project fast and hassle-free.